Founded in 1983, Sylco Cabinetry is a full service cabinet shop in Southern Maine specializing in kitchen & bath design. 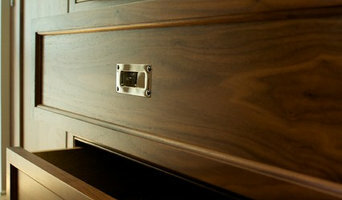 In addition to fabricating custom-built cabinetry, Sylco carries semi-custom and stock cabinetry lines and countertops. From affordable to extravagant, Sylco provides cabinetry and design services for the entire home. After years of designing and creating high-end custom cabinetry, we saw a missing element in the kitchen remodeling area for times when ripping out the entire kitchen was not necessary, yet there was no great, quality solution for changing the look of otherwise perfectly good cabinets. The owner of Kitchen CPR developed a system for resurfacing existing cabinets using SOLID WOOD. 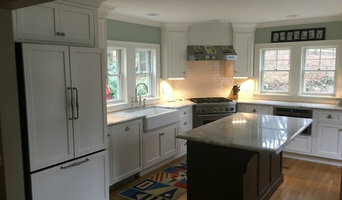 Along with new doors and drawer fronts, panels and moldings, Kitchen CPR customizes and completely transforms kitchens. Since we're a custom cabinet shop, we can retrofit, add, change, move and create any kind of cabinet needed. We make all our own moldings, do all our own finishing and install all our own work. From our 16,000 square foot converted mill space in Andover, MA, our team works in collaboration with architects, contractors, designers and direct clients throughout New England to design, fabricate and install millwork and cabinetry to create one-of-a-kind spaces. Our Mission is to exceed our clients’ expectations through quality, craftsmanship and service. Whether your project requires custom doors or cabinetry, architectural millwork, commercial grade laminate casework or the use of sustainable building products, we have the experience and can satisfy your project requirements. We understand the importance of keeping a project on schedule and within budget while providing a product of premium quality. From the onset of a project, we are dedicated to understanding our clients’ expectations including design, scheduling and budgetary requirements. We are committed to providing the highest quality at competitive prices and will assist in value engineering your project. At Landmark Finish, we take the time to learn our clients’ needs and expectations. We are committed to developing trusted and lasting relationships. Our customers are our valued partners. Much of our business is from satisfied customers providing word of mouth referrals. Time and time again, our customers feel that our impeccable record of quality and service is worth referring. At Landmark Finish, your project is our project. Euroline Kitchens was founded in 1989 in Stoughton MA, and has grown to be one of the leading kitchen retailers in the Greater New England area. Here at Euroline, we take you through every step of the process from measuring your space, creating a unique design, to selecting finishes. We are even present during the delivery of your cabinets and manage the installation. The process is not over until you are fully satisfied. Euroline Kitchens offers cabinetry solutions for every buyer's taste, from contemporary laminate, faux finish laminate, Cape Cod Shaker doors, to custom-made traditional wooden doors. Whatever it is you want, we have it, can order it, or even custom fabricate it to your specifications. 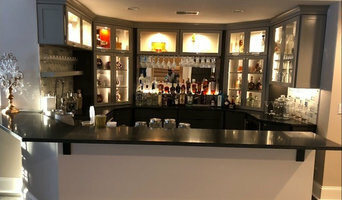 Boston Cabinets was started by Peter Carr in 2004, in response to consumer demand for a specialized contractor who can design and install high feature kitchens, popular in modern homes. Boston Cabinets is the kitchen design and remodel specialist. Our concern is to understand your preferences and project constraints. If you have a question about kitchens, we likely have an answer. We strive to provide custom finished kitchen spaces of beauty, quality, and luxury, while staying within budget. Our experienced staff tackles each job with enthusiasm and a continued sense of urgency, maintaining the strongest communication possible with every client. The first priority and greatest value, however, is always customer service. Our design team turns an empty or outdated space into a showplace kitchen. But form follows function, so we take extra care to ensure your new space is as useful as it is beautiful. 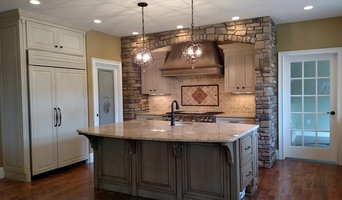 We carry hand picked patterns from top cabinetry, countertop and accessory makers. KGD is providing an all inclusive Cabinet Design experience. DuraSupreme, Kraftmaid and Kitchen Cabinet Distributers are our three Cabinet Lines. Along with our Cabinetry offerings we have over 40,000 in store Tile samples to accomodate any project. Attention to your details is a priority. Full-service kitchen and bath design showroom offering the sale of cabinetry, countertops, hardware, plumbing fixtures, tile, and lighting fixtures. Are you thinking of renovating your kitchen? Do you want to spruce up your dreary cabinets? You will find just what you are searching for at Nudd Cabinetry. At Nudd Cabinetry, we have been striving for over 25 years to supply our customers with the highest quality kitchens at the lowest possible cost. Let us prove to you that our custom is priced close to their stock lines.